Evernote is a note taking, file storage and organization software and service suite. Everything we need to remember can be stored in Evernote account for future browsing and searching. You can add scanned documents, text, images, audio ,files and more to Evernote and can synchronize everything across all of your devices in Evernote’s free apps. Evernote stores notes in their local machine. 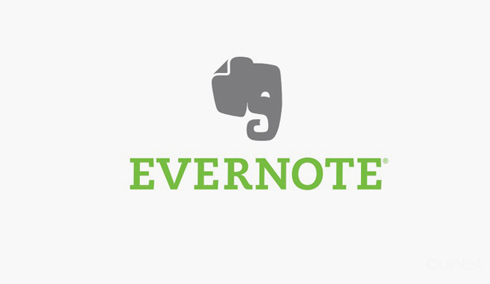 A user with evernote account can automatically synchronize the note with the Evernote’s servers. This allows the users to edit their notes across multiple machines and different operating system platforms. Evernote has its own Optical Character Recognition Technology service. With OCR Evernote can read texts whether it is from computer keyboard, PDF document, photocopy of some texts or photograph and make those words searchable in Evernote account. There are numerous applications that require the option to attach pictures, spreadsheets, images and docs to a note. Using the sdk provided by Evernote we can integrate Evernote to these applications. Since all personal notebooks and their contents remain completely private and controlled by the user who created them, it is a secure place for keeping our data. Evernote offers high security to the contents. We can encrypt part or whole text of the note using a password for securing. By integrating Evernote sdk, we have included Evernote features in several applications so that the user can add images, audio, documents and everything he needs to Evernote from the app itself. As Evernote can read texts in images, it is possible to search using a text in Evernote. With the help of geo tagging feature searching of location is also possible. We at Quintet can help you to integrate evernote into your applications impeccably. Quintet helps you with all of your database needs such as proper design and implementation, administration and maintenance, and data analysis and reporting. We can help manage and protect your database system for their entire life cycle. We focus on creating well designed database solutions keeping in mind the scalability factor of the future.